Hellblade sells 50K units on Xbox One, donates 25K to Mental Health America – AiPT! Hellblade sells 25K in its first week on Xbox One, and donates 25K to charity. The game I can’t stop thinking about just did something amazing. 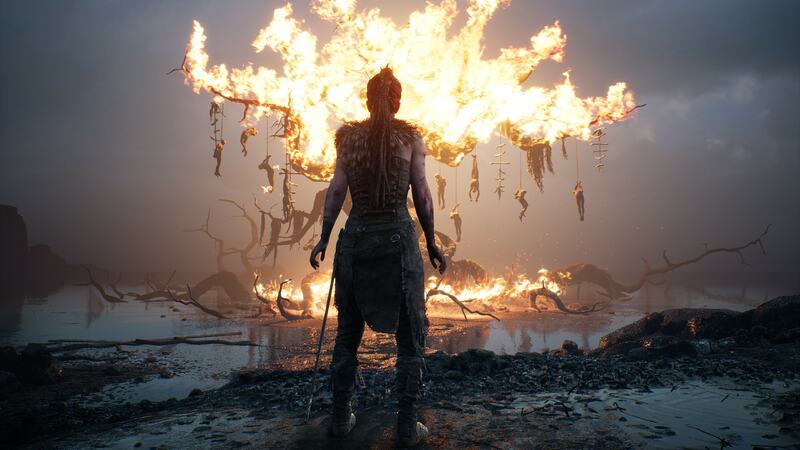 Hellblade: Senua’s Sacrifice, a game whose protagonist is fighting against serious mental illness and vikings, has passed the 50K units sold mark in its first week. They had put a goal on their own back, with a 25K donation to Mental Health America if that milestone was met, and If they hit 100K by tomorrow, they’ll donate 50K. This is remarkable. The game worked with mental health professionals to make sure the depiction in game was both sensitive and realistic, and portrayed mental illness in a way I’ve never seen in gaming before. For them to turn around and donate a large sum to an organization that helps those afflicted is admirable. Good job NinjaTheory. Good luck on moving that 100K, and I’ll be looking forward to whatever you have cooking next.